Signed and dated: Geo: Dance/May 28th 1803. By 1803 Rennie had become well-known as an aqueduct and bridge builder, mainly in Scotland though he had come south to join Boulton and Watt in Birmingham in 1884. 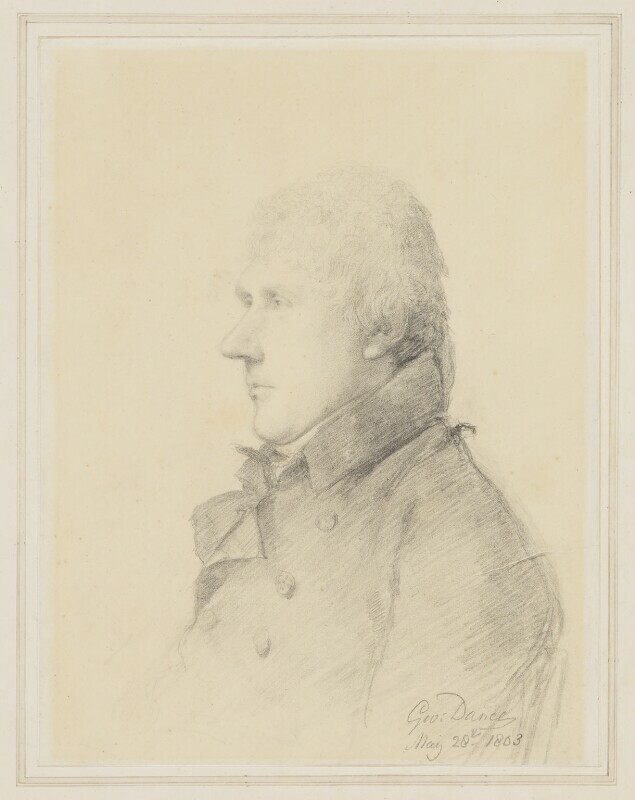 Dance probably drew his portrait for his Eminent Characters in recognition of his work for the development of the London Docks. A version of the drawing, pencil touched with red chalk and inscribed: John Rennie, was exhibited 'The Sublime and Beautiful', Sabin Galleries, 1973 (22). Dance family property and sold by the Rev George Dance, the artist's grandson, Christie's, 1 July 1898 (112), bought Colnaghi for the NPG. 'London Bridge in Art', Guildhall Art Gallery, 1969 (29); 'George Dance the elder 1695-1768 the younger 1741-1825', Geffrye Museum, 1972 (90). Soft-ground etching by Daniell 1810 in Dance's Collection of Portraits, vol.II. This extended catalogue entry is from the out-of-print National Portrait Gallery collection catalogue: Richard Walker, Regency Portraits, National Portrait Gallery, 1985, and is as published then. For the most up-to-date details on individual Collection works, we recommend reading the information provided in the Search the Collection results on this website in parallel with this text.